As I’m listening to Eleanor Murray, I’m thinking an interesting thought. Could this be the sister of Devendra Banhart? Her voice quavers as she sings, much like his does so often. Her music is folk (though it lacks much of the World meets 70s Folk-Rock). It is also amazingly catchy for a genre often stale and… err… flaccid. 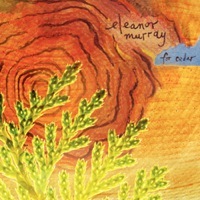 Murray’s album is titled For Cedar; fitting for a folk album. Opening with “Today” and “Julie” finds Murray’s quivering vocals airy, but powerful and forceful. They resonate atop her simple acoustic guitar in the rarest of ways — they’re gripping. As she launches slowly into “Walk Home”, the instrumentation broadens to include an occasional fiddle and minimalist percussion. The song builds half-way through to an impressive sound and Murray takes on a more Shara Worden-esque style of vocals (My Brightest Diamond). For Cedar is quite a ride for a folk album. Murray starts out slowly and softly, and as the album continues the volume and speed grows and falls and climaxes again before resorting back to the softer side at the end. It throws you through loops; one moment you think you have Eleanor Murray figured out, but then she shows you that she’s not an easy catch. You cannot draw a square around her and call it good – she is undefinable. In a way, it’s brilliant – a sleepy beginning and end, and a middle that’s packed with excitement. Favorites are plenty, from the intense “Walk Home” to equally intriguing “The Last Meal” to the more-than seven minute epic that is “Healing” near the end. There’s not a moment of letdown to be found on For Cedar. Still, however you look at it, For Cedar is an oddity. Murray has the mature sound of an artist that’s been around a while, one who’s built an audience and following, one that’s progressed beyond her humble, small-label beginnings. But she hasn’t. 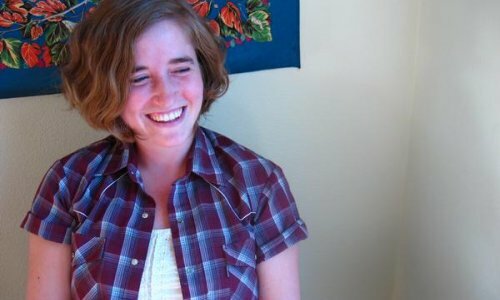 She’s fairly unknown in the independent music world, and her label is Anonymous Monk, a small Olympia-based collective. It’s all quite impressive. For Cedar is quote impressive! And, frankly, I cannot wait to hear more from Eleanor Murray and Anonymous Monk! One of the things I like best is that each of Murray’s songs progresses like a story. She never resorts to repeating a refrain over and over, no matter how catchy or clever she may think it is. Cudos to Ben Kamen for discovering and nurturing this talent!